Tank Simulator HD – Games for Android 2018 – Free download. 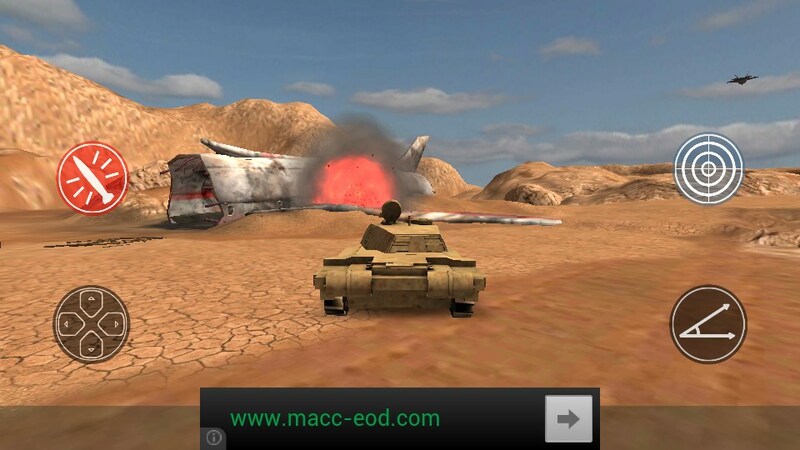 Tank Simulator HD – Drive a tank in a good simulator. 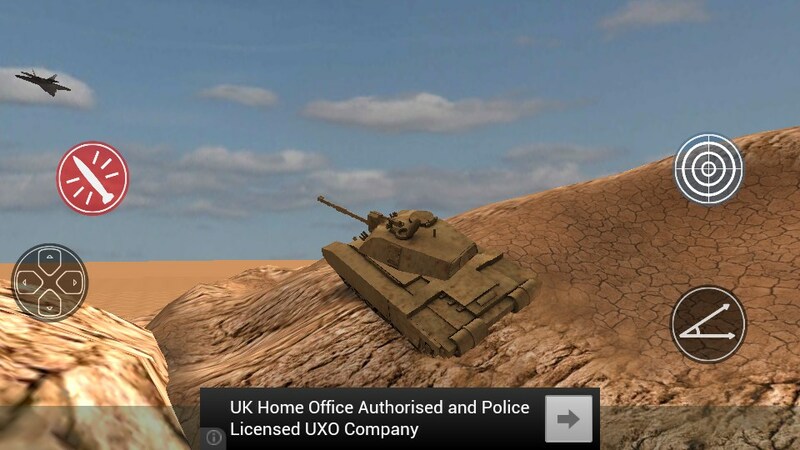 Tank Simulator HD for Android puts you in control of a Challenger 2 tank (with the promise of more tanks to come in a future update). The controls are quite cool, as you have a little joystick for movement, and a second widget to control the rotation and tilt of the turret. 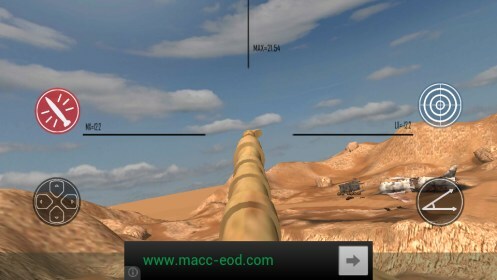 The graphics are good, the physics are “ok”. Well, the tank and its turret move at about the right speed, but it is impossible to tip the tank over, no matter how steep an incline you drive it up. Believe me, I tried. And you can drive that tank up some really steep inclines. Once you’ve got the hang of the tank, and driven around the map, there isn’t much else to do in this game. A fighter jet flys over continuously, and it is possible to shoot this out of the sky. 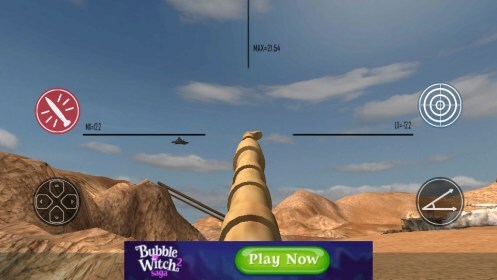 It’s good target practice, but still a bit of an anticlimax. The plane just comes back again, and I only felt a need to shoot it once. There are two views available, from outside, and from the POV of the tank turret. Maybe it will get more interesting if the developers add more terrains and interactive content etc. other tanks to fire at, 2 player mode, challenges. Anything to keep us interested a bit longer! There’s a lot of potential here.